JustUs was created out of the collaboration and partnership between The Wellspring Foundation and The Elevation Project (a program of Greater Vancouver Youth Unlimited). These two organizations are passionate about seeing lives changed through education – both in Africa, and here in Canada. The reality is that we live in a broken and unjust world, however, we believe that equipping young people with a global perspective and a fuller understanding of issues such as poverty and social justice is key in developing the next generation of informed and engaged global citizens. The Wellspring Foundation and The Elevation Project have worked together to develop materials and a curriculum that address these issues and can assist in this process in a variety of settings. Young people today are passionate about change. Their hearts break for the injustice they see in the world around them and they yearn to be a part of the solution. The problem is that they have few resources to help them. Youth have the potential to change our world, but they need the knowledge, tools, and revolutionary Biblical perspective to equip them to take the next steps. 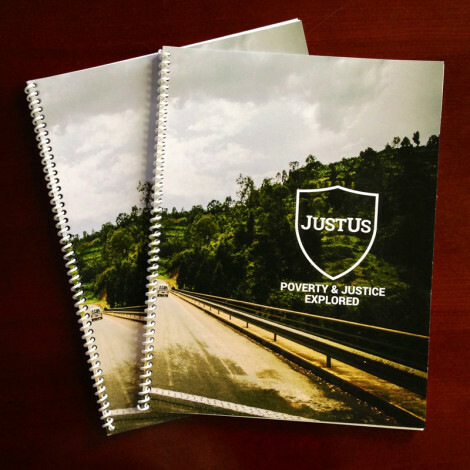 In order to enable them to engage with a world that is crying out for transformation, we have created JustUs, a guide to discovering God’s heart for the poor. He has endless compassion and fierce love for those who suffer injustice and so should we. Our desire is to enable young people to join Him in working towards restoration, healing, and wholeness. Here at JustUs we are passionate about equipping youth leaders and young people with the knowledge and tools to be agents of change who can help transform this world for the better. In order to reach the widest audience, we have various options that youth leaders can choose from to suit their needs. Our heart and goal is to reach as many people as possible with the resources and curriculum that we have developed. In order to do this, we have created a 5-part video series! The video series is aimed at anyone who is interested in justice – senior high youth groups, church small groups, missions/service teams, etc – and walks you through all the content of our original workshop curriculum, but adapted for video. With the purchase of the video series, leaders can also gain full access to all additional resources that are needed to guide their group through the program and will have the full support and assistance of the JustUs team if it is ever required. JustUs hosts workshops throughout the year where youth leaders and those interested in gaining a wider understanding of justice and poverty issues, can come and spend a full day learning about God’s heart for poverty and justice. After completing the JustUs training, youth leaders will be prepared to bring their youth through our five-part curriculum with the assurance that if they ever need support or assistance, the JustUs team is readily available to help. Transformation is our ultimate goal. Our hope is that after people have gone through the JustUs Program, they will feel knowledgeable, empowered, and equipped to begin being agents of change in the world. Another option available is to have us come talk with your group about the Biblical perspective of justice, and how we can be involved in God’s work of healing and restoration. This is a great option if your group has a short amount of time, or is just beginning to grapple with these crucial issues. We are happy to speak with groups in various settings! Click here to check out some of our past speaking engagements.